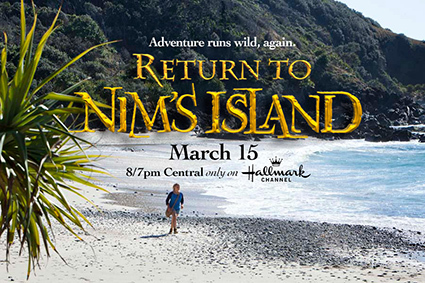 I really enjoyed the first Nims Island movie and later this week Hallmark Channel will debut the sequel, Return to Nims Island. Return to Nims Island, the sequel to Walden Medias 2008 box office hit Nim’s Island, picks up the story a few years later with 14-year-old Nim (Bindi Irwin) more determined than ever to protect her island and the animals that call it home. With ruthless resort developers and greedy wildlife poachers threatening the existence she loves, Nim realizes she and her animal pals cant defend their home alone. To save her island, she is forced to combine forces with an outsider: Edmund, a runaway from the mainland. Only with his help does she stand a chance of stopping the villains from dismantling her world. You can pick up your copy of Return to Nims Island on Blu-ray & DVD exclusively at Walmart Stores just 4 days after the premiere or win it right here! Check out the widget below and take the quiz to discover which adventurer you are, discover great family activities or send a postcard. i am Nim the Valiant Voyager.